Posted on 20 February 2015. Just three (3) days after the Royal Montserrat Police Service (RMPS) reported crime reduction statistics to a group plus of regulars at the Sujue Davis, wife of His Excellency the Governor Coffee Morning gathering, they conducted an operation in the north Davy Hill community. The operation sparked some controversy after the media reported the lack of or scant information surrounding the operation. Minister of Agriculture, Housing, Trade, Lands, and Environment, the Hon. Claude Hogan publicly criticized the operation on Friday, January 30, 2015. He called on the law enforcement officers to have a more modernised approach in conducting their duties. “Operations like these are only warranted in a life and death situation,” he said. 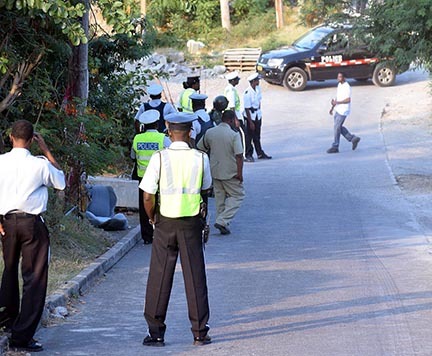 The raid operation was conducted in the area between the entrance to the incomplete Davy Hill Community Center and the office of the Montserrat Reporter; the street was completely blocked by the Police with no foot or motor vehicular traffic allowed through. 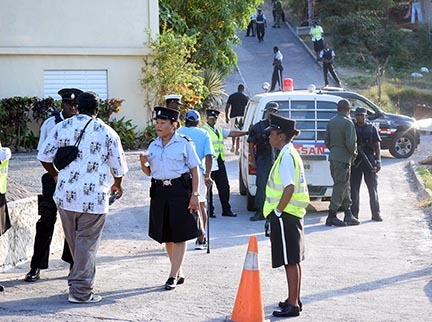 Both ZJB and TMR reporters sought to speak to the commanding officer for the operation, Inspector Albert Williams, but was directed to the Director of Operation Superintendent Bennett Kirwan at Headquarters in Brades. There were no comments from Kirwan who said he can’t make a statement on the matter. Meanwhile other members of the community are outraged over the manner in which the operation was conducted by the law men. During the operation some were shouting, “gross miscarriage of power”, while others considered it to be an abuse of their human rights. Pete Buttigieg speaks in Plymouth, MA: "Our founders rightly were suspicious of an overbearing executive. Right? That's why they set up all these checks and balances. It starts with some simple things like establishing that a president shouldn't be above the law."